Sadly, we've reached the last day of our five-day winter itinerary for Iceland. 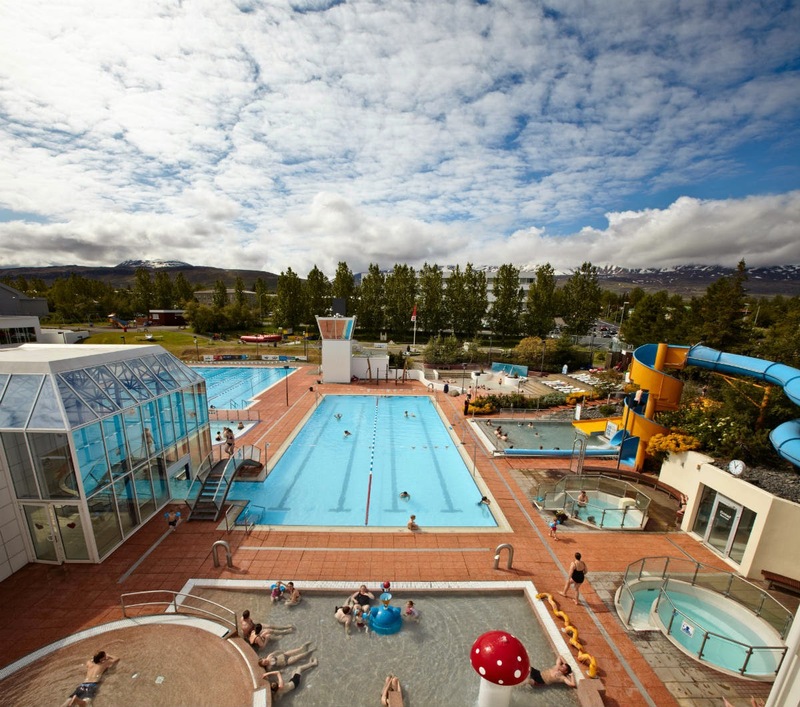 But you can't be too unhappy, because your final day in Iceland will feature some of the coolest activities yet. I know what you're thinking; how is it possible to top hiking on a glacier and visiting plane crashes on black sand beaches? Well, how about soaking in the miraculous waters of Iceland’s Blue Lagoon or visiting the beautiful natural attractions like Mt. Kirkjufell on the Snæfellsnes peninsula? We've seen and done a lot in the last four days along the Ring Road, and it's time to head back towards Reykjavik from Vik to enjoy everything that West and Southwest Iceland have to offer. You’ll start the morning by making the three-hour drive back to Reykjavik. 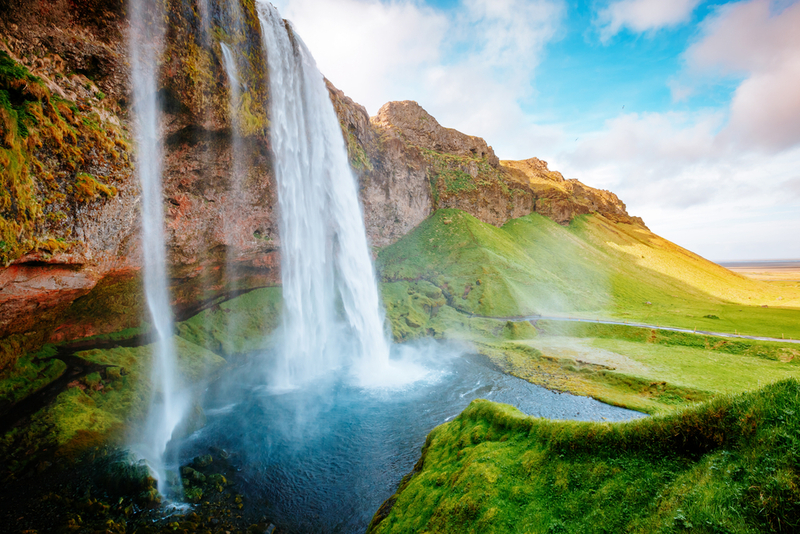 Be sure to stop by Skógafoss waterfall or Seljalandsfoss waterfall if you missed either of them on the first leg of your journey. 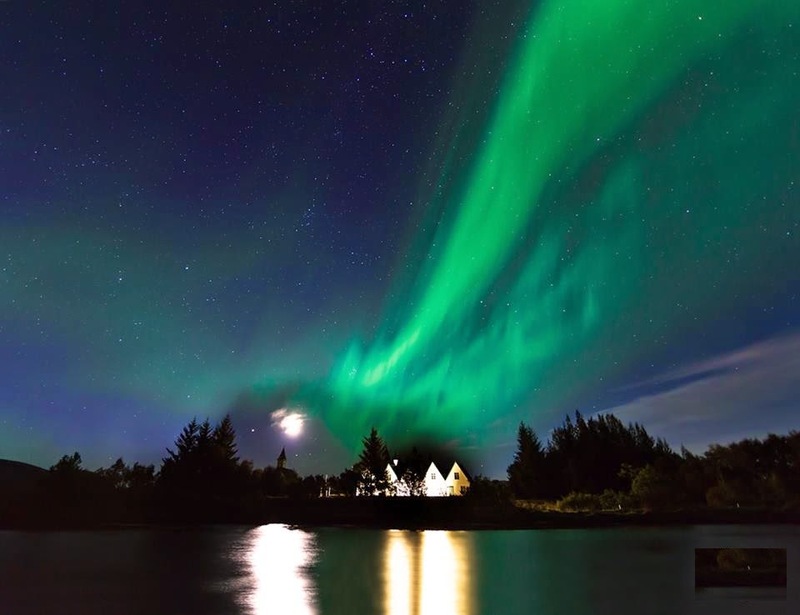 Once you start getting close to Reykjavik, you can either head south toward the Blue Lagoon spa or keep going towards the Snaefellsness peninsula, which lies a couple of hours north of Reykjavik. 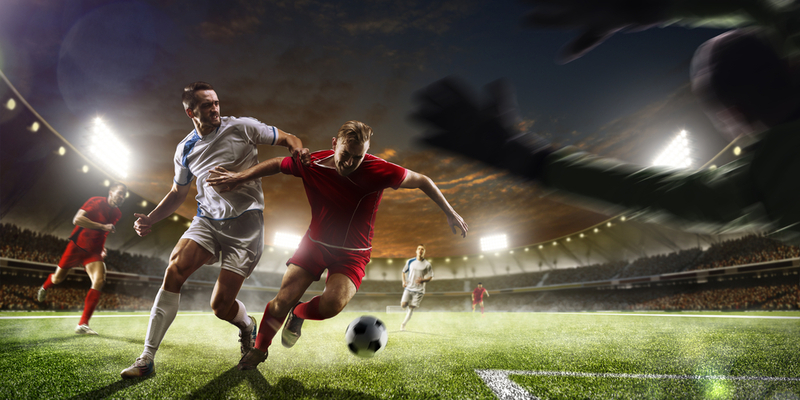 The option you choose will depend upon your priorities as well as the time of your return flight the following day. 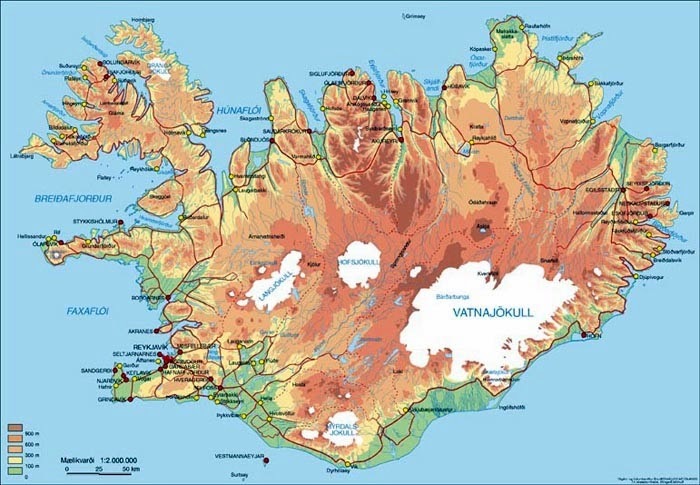 It's possible to fit in both the Blue Lagoon and Snaefellsnes peninsula into the same day, but it will definitely be a long one. And remember, there is limited daylight in Iceland during the winter months. If you're looking to do things when there is light outside, your window of opportunity lasts from about 11 a.m. until 4 p.m. The hour of sunrise and sunset varies in December, January and February, so check the exact times of the month you're planning your visit here. If you have a return flight late in the day, you can do what many tourists opt to do, which is stop at the Blue Lagoon on their way to Keflavik airport. This technically spills over into the sixth day of your itinerary, but if you have the time it's definitely the better option. 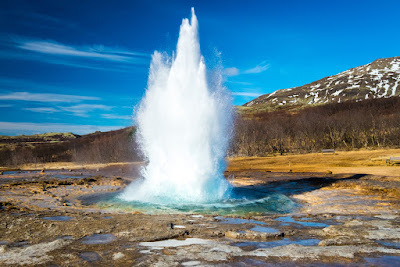 Otherwise, you can choose to either focus on the Blue Lagoon or Snaefellsnes peninsula or take it to the extreme by trying to see both places and spending less time at each. 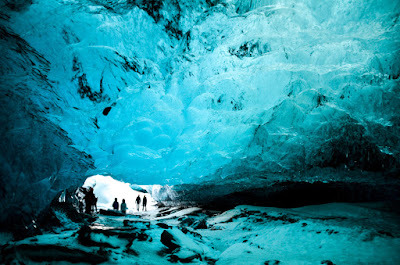 This is one of the most famous sites in Iceland and is the country's most visited attraction. 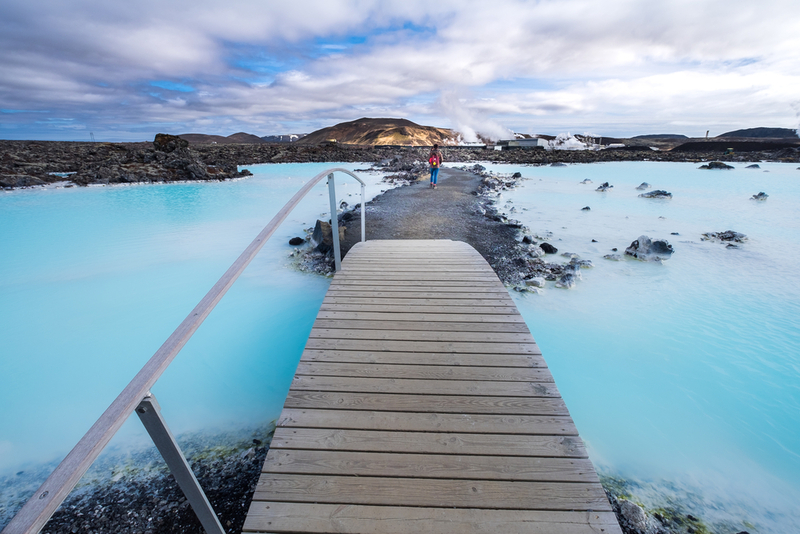 A few hours soaking in the healing, silica-infused waters of the Blue Lagoon will rejuvenate you. Relaxing amid the turquoise blue and volcanic black scenery of this man-made geothermal spa will be just what you need after nearly a week of traveling. Get a massage or another body treatment or simply chill out as you watch the steam rise from the warm water into the frosty winter air. Don't worry; you can enter the lagoon from indoors. I don't know about you, but being outdoors in a swimsuit in the middle of winter on a Nordic island that borders the Arctic Circle isn't exactly my idea of a good time. But if you do choose to embrace your inner polar bear, feel free to go full Icelander and walk out to the pool. Don't say that I didn't warn you though; bathing etiquette requires that you shower before entering. 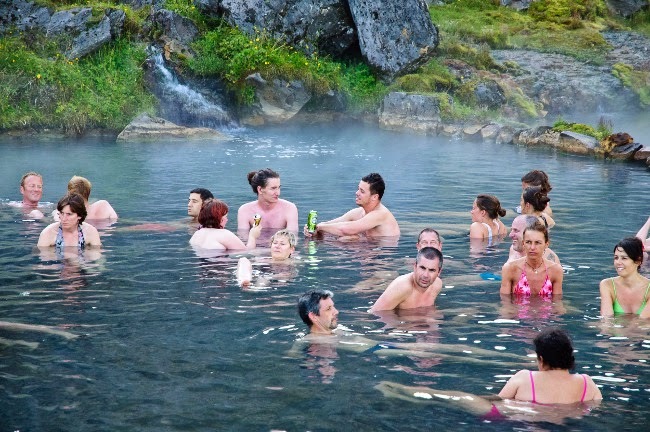 You could turn into a shivering Icelandic popsicle before you reach the water. 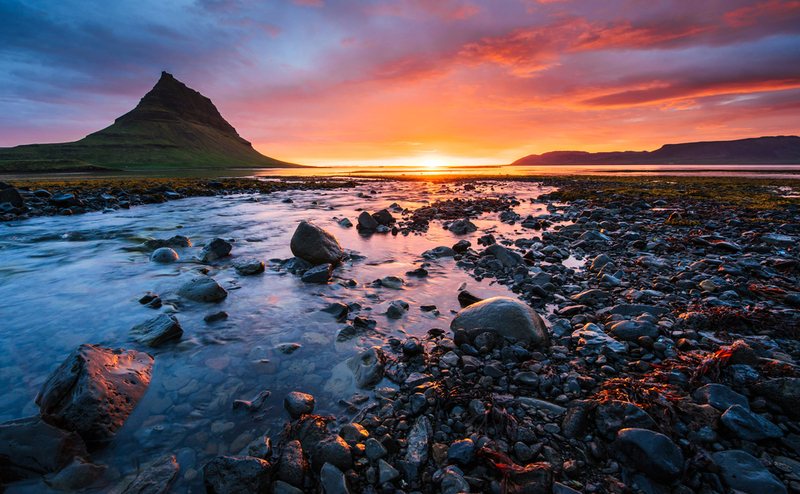 About two hours north of Reykjavik is Snaefellsnes peninsula. 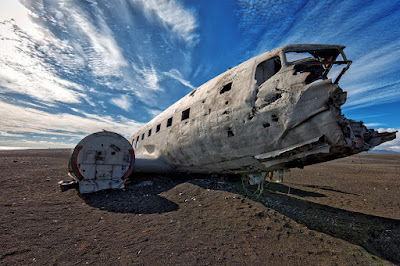 This is the one you've seen in that iconic photo of Iceland that has the mighty pointy-yet-rounded mountain in the background with cascades flowing into the waters below. In the colder months, these waters freeze, and you are left with a snow-covered landscape that evokes something out of a wintery dream. 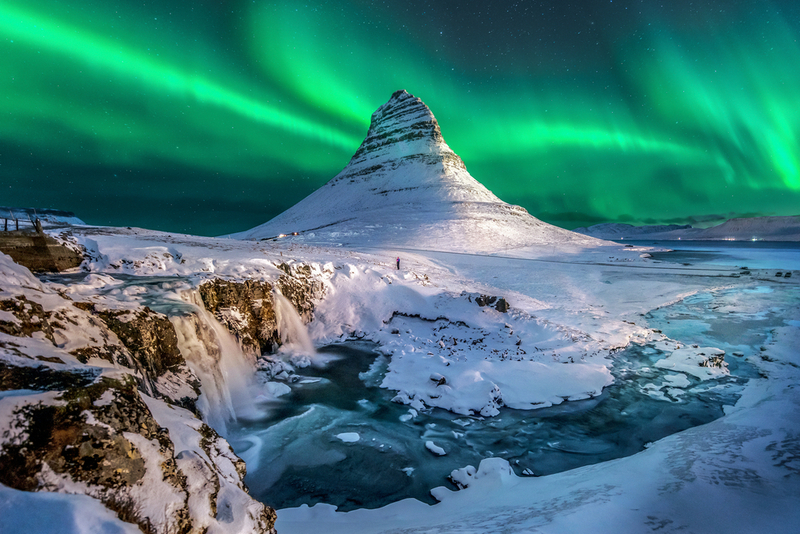 Game of Thrones fans will no doubt recognize the majestic Kirkjufell mountain from seasons six and seven of the popular HBO series. If you recall, the Hound had a vision of the White Walkers making their ghostly march past a “mountain shaped like an arrowhead”. Jon Snow & Co spot this famous Icelandic mountain while traveling north of the Wall on their quest to find the army of the dead. Pretty spooky (and cool), right? Fear not, dear readers. 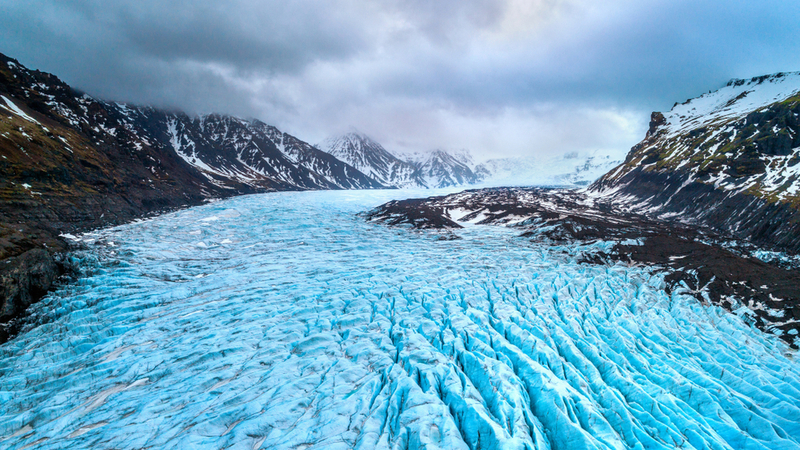 We promise that you won’t run into the Night King in Iceland. Although according to urban legend, there are some rogue polar bears running around our little island. You’ve seen and done a lot during these last 5 days (including dodging White Walkers, which as Samwell Tarly can tell you is no small feat). 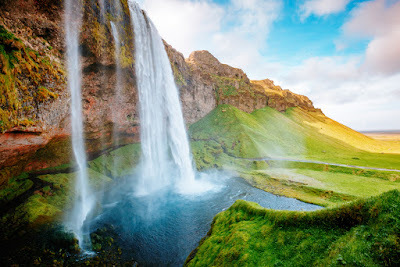 While you haven't seen everything that Iceland has to offer, you've certainly covered many of the highlights and have visited almost everything there is to see in the south. Maybe next time you visit, you can spend some time in the North and explore the Diamond Circle. 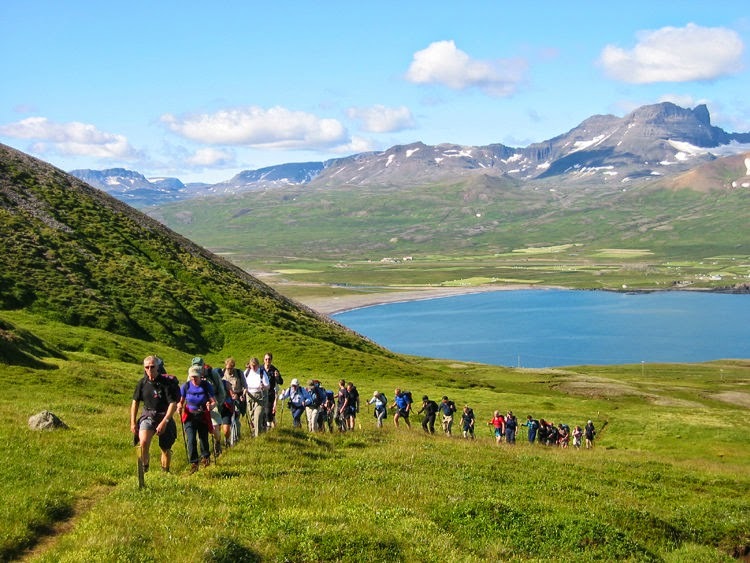 There's also the possibility of visiting during the summer, when the Midnight Sun, warmer temperatures, and outdoor festivals completely transform the country. 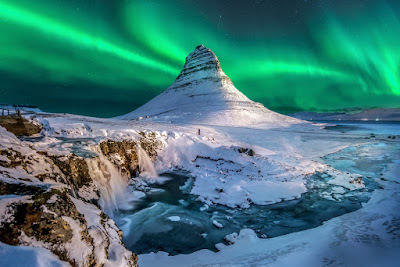 Planning a vacation to Iceland in June, July, or August is a completely different experience than visiting during the months of December, January, or February. 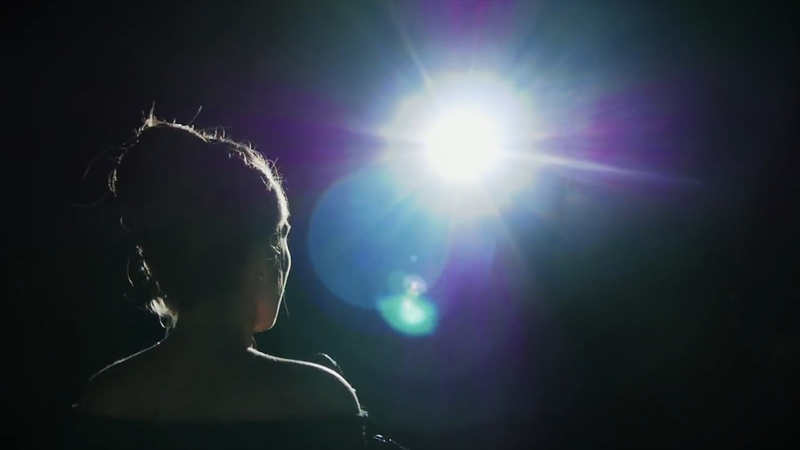 Who knows, maybe we'll be seeing you again sooner than you thought. Renting a car and driving around the Ring Road is a great way to see Iceland. If you come here on vacation, your best bet is to rent a car and hit the road with nothing but your suitcase and your favorite playlist. 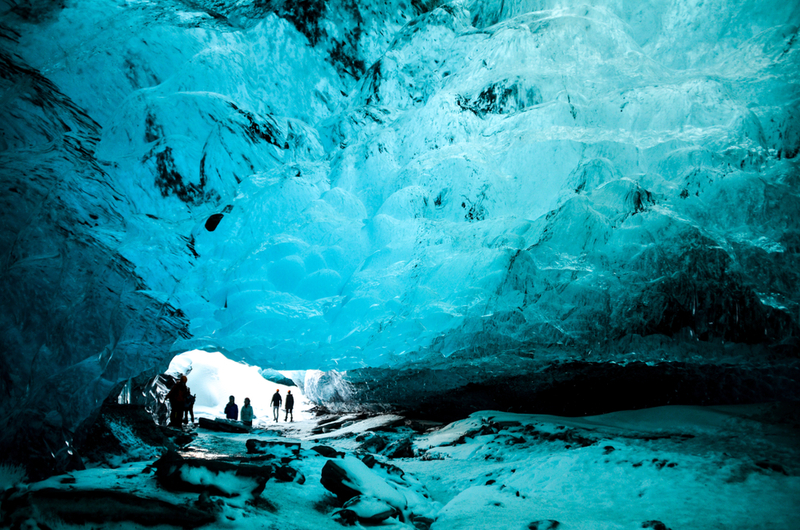 During your Icelandic road trip, there are a few things you’ll want to keep in mind. From car rental companies to things to watch out for to planning which gas stations you will stop at (yes, you need to do this in advance), here’s a quick primer to help you make the most out of your trip to Iceland. We hope our car rental tips and advice will help. First and foremost, you’ll want to get a rental from a reputable, local company. 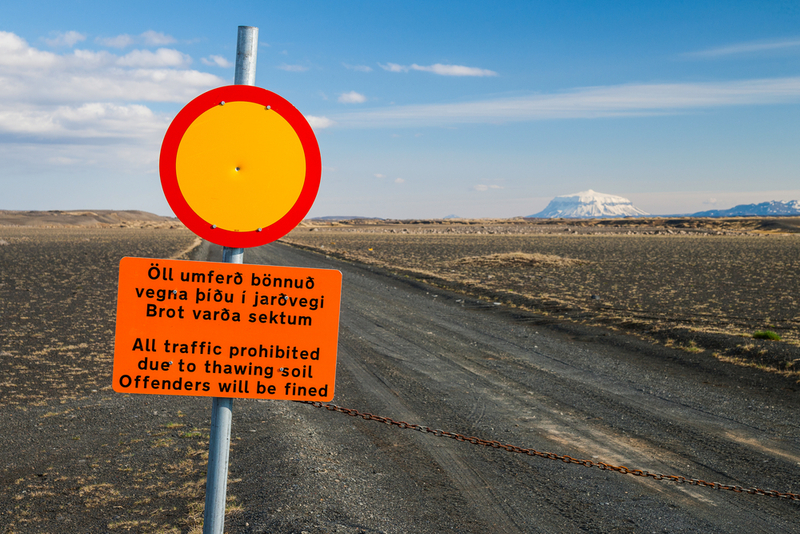 This may seem like obvious advice but you’d be surprised at how many people don’t really do their research when renting a car in Iceland. Check out Google Reviews or Trip Advisor to see the top companies and what people have to say about their experiences with these providers. It’s always a good idea to support locally owned and operated businesses, so we wholeheartedly recommend that. The level of customer service is a huge factor to consider when reading honest, customer-driven reviews of car rental companies. Nothing is worse than having to deal with a rude or incompetent customer service agent if your car breaks down or you have another problem with your rental. Cheap car rentals may be ideal for your pocketbook, but sometimes it’s better to spend a bit more and receive excellent customer service. 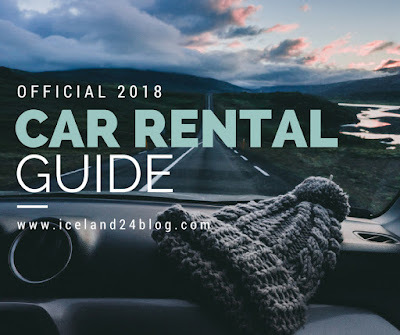 Check out our 2018 Car Rental Guide for an overview of the best car rental companies in Iceland. 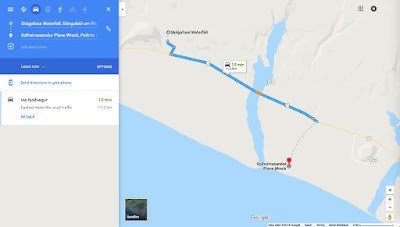 Google Maps will be your best friend in Iceland for many reasons. In addition to providing driving times and distances for your trip, it can help you plan out your route by showing you where gas stations are located. Iceland’s roads, even the main ones, can get quite remote. Once you’ve left Reykjavik, you’ve can never be sure when your the next chance to fill up your tank will be. We recommend that when you are looking at a map to decide your stops and where you will stay overnight, you also look at which gas stations are along the way. Decide on where you will stop for gas so you never have to experience that dreaded feeling of seeing the reading on the fuel tank slink dangerously close to E without knowing where the nearest gas station is. Stay out of the scary red zone, plan your fuel stops in advance, and top up at reasonable intervals. 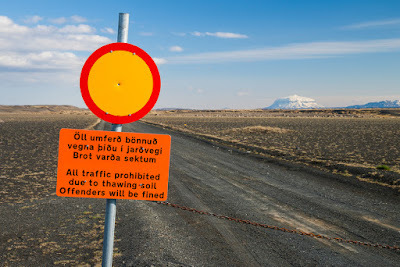 A quick tip: many gas stations have food and mini-supermarkets, If you haven’t stocked up at Bónus or some other discount supermarket chain, take advantage of these roadside oases to buy snacks, provisions or just some Icelandic hot dogs. You may think I’m joking but this piece of advice is 100% serious. 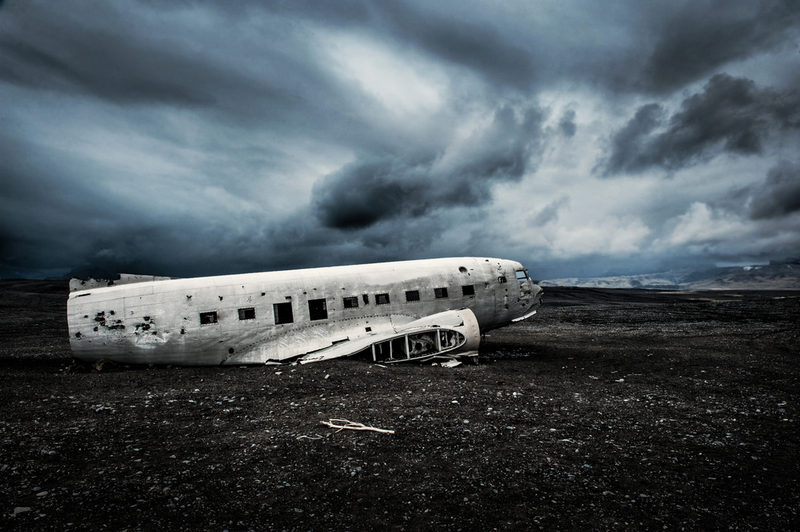 In many ways, Iceland is unlike anywhere on earth. 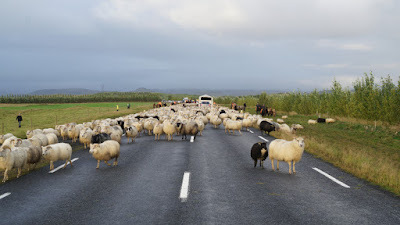 If you’re a city slicker who is not used to country roads, you’re in for an unusual surprise when driving in Iceland. We let our beloved animals roam free and graze to their hearts’ content, so you’ll see sheep everywhere. Unless you’ve traveled somewhere like New Zealand, Scotland, or other countries with large rural areas, sheep blocking the road (or dashing out in front of your car) is probably not something that you’re used to. Well, be very careful and watch out for our wayward, adventurous friends. You’ll end up paying the cost of these little guys to their owner (and incur the wrath of an Icelandic sheepherder) should you hit a beloved member of the flock. Yes, this is another obvious point but hear me out. For some reason, people seem to think that they can take risks with rental cars that they would never take with a vehicle that they have actually purchased with their own hard-earned cashed. Photos and videos of sunken vehicles and flipped cars litter the internet. 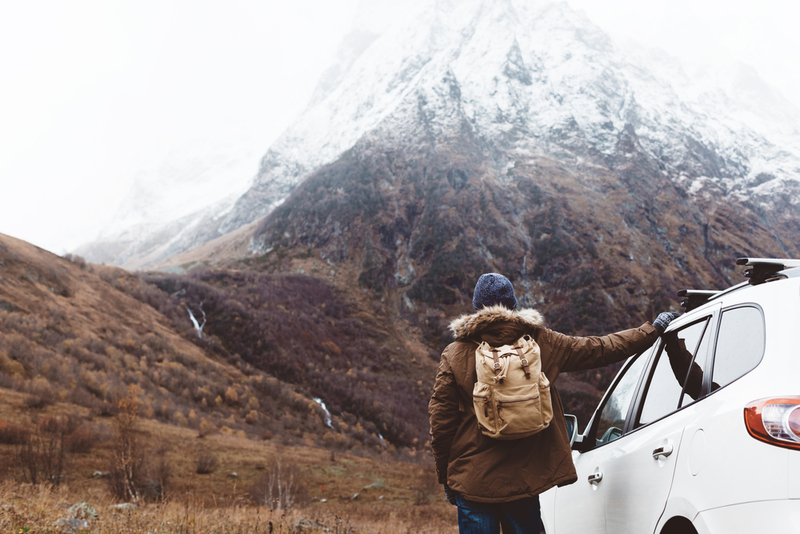 Car rental horror stories exist in many forms, and no one wants to be that person returning from a vacation to Iceland thousands of dollars in debt to the car rental company. 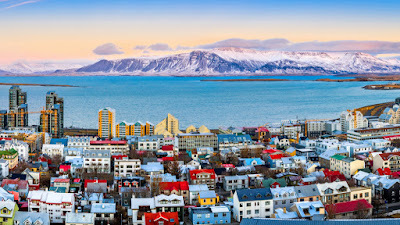 Make sure there is no damage or anything to repair when you hand the keys back in Reykjavik or the counter in Keflavik. On a related note, if your rental doesn’t already include it, be sure to get the minimum of Sand & Ash Protection for your car. This also goes for Gravel Protection if you plan on exploring the country’s F-roads (mountain roads) in a 4x4 vehicle such as a Jeep. 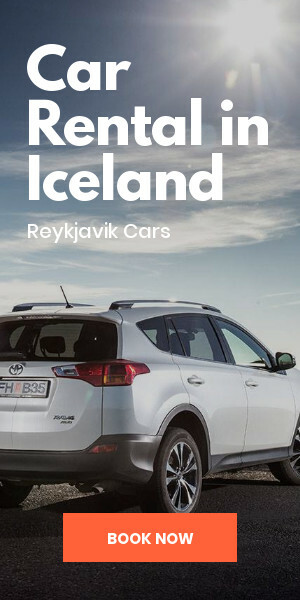 While many people tend to pass on opting for the insurance on their car rentals (I know I normally do), Iceland is different. The weather here is more extreme than anything you’ve ever seen and you don’t want to be responsible for unexpected damage brought on by Mother Nature bringing on a sudden sandstorm or tons of roadside volcanic ash blowing onto your vehicle. As you can tell, Iceland is known for its extreme elements. People don’t call it The Land of Fire and Ice for no reason! 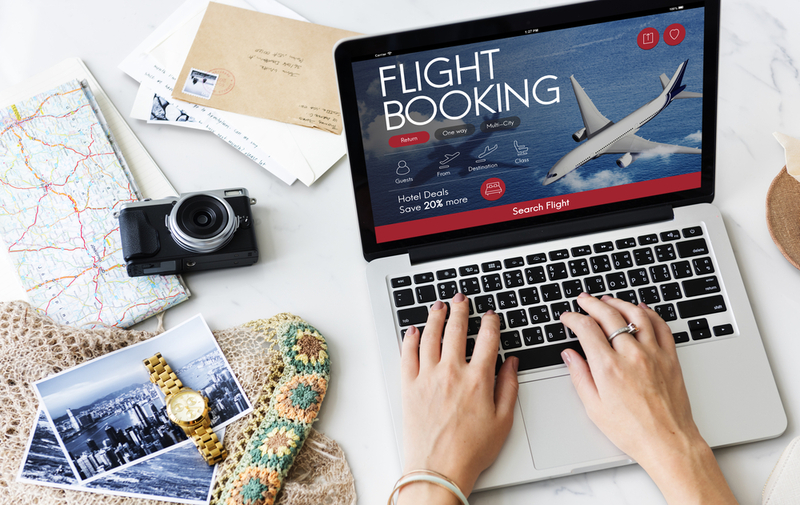 There are a few websites that will serve you well during your trip. The homepage for the Iceland Meteorological Service will keep you up to date on weather conditions for the area where you plan on driving. 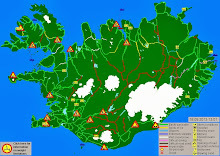 Additionally, you’ll want to monitor the Icelandic Road and Coastal Administration (IRCA) website. This body is responsible for all of Iceland’s 8,077 miles (13,000 km) of roads. On their webpage, you’ll see regular updates, notices of road closures, and any other information that can affect travelers. 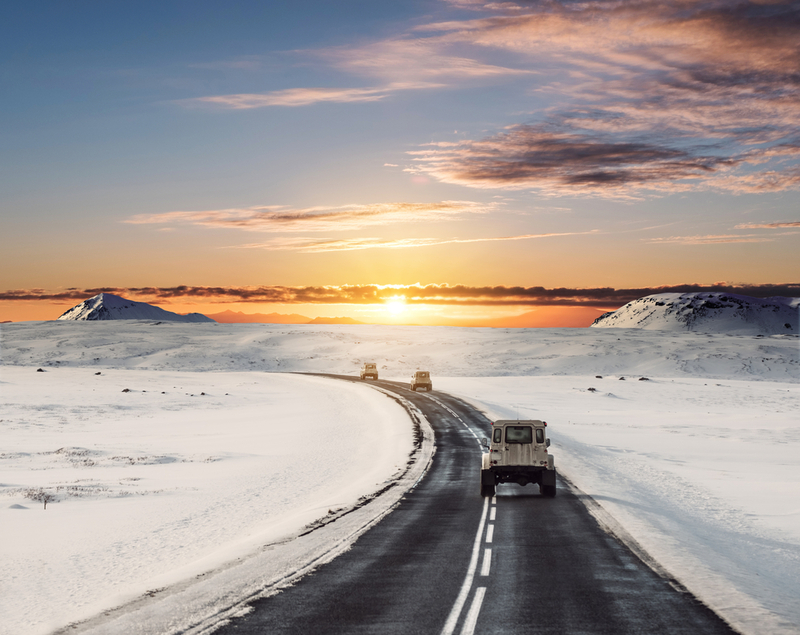 Driving in Iceland is a fun, relaxing, enjoyable way to experience all that our small and increasingly popular island has to offer. That being said, it would be foolish to assume that you don’t need to exercise some precautions in order to prevent your Icelandic vacation from going awry. I want you to have an unforgettable trip, and hopefully, these quick pointers will help you do just that. Happy (and safe) travels! 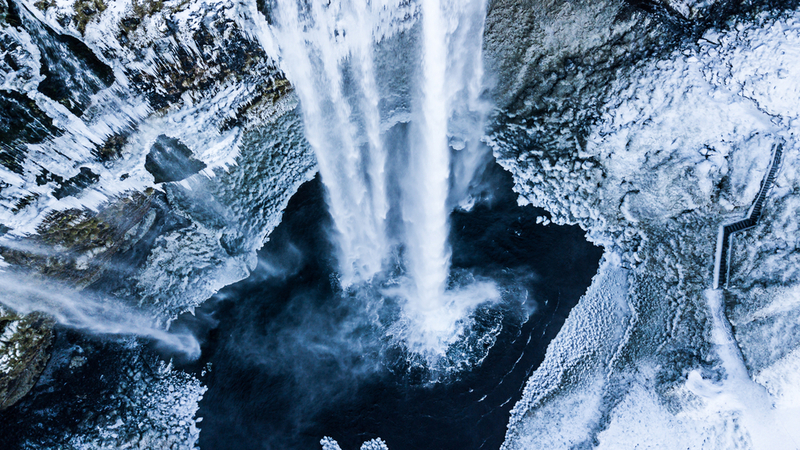 Heading south from Reykjavik towards Vík on Iceland’s Ring Road, you’ll find the stunning Seljalandsfoss waterfall. 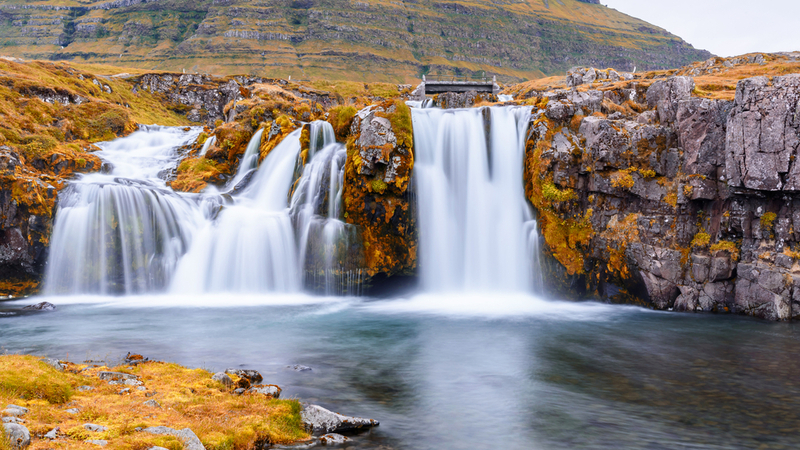 This careening cascade has consistently been ranked as one of the most beautiful waterfalls in Iceland by travel bloggers and tourists alike. In fact, this waterfall’s nickname is “The Beauty”, in stark contrast to Dettifoss waterfall, affectionately known as “The Beast”. 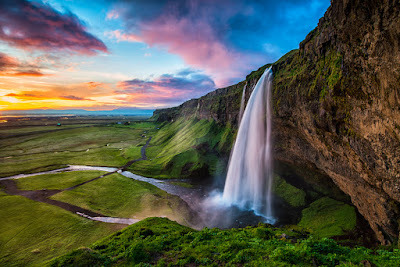 If you’ve seen that iconic photo of a beautiful waterfall in Iceland with the sky streaked in shades of orange, pink and purples chances are it was Seljalandsfoss. Let’s dive deep (pun 100% intended) into one of Iceland’s most famous waterfalls and a star attraction in south Iceland. About two hours southeast of Reykjavik on Route 1 (the Ring Road) you’ll come across Seljalandsfoss waterfall. Assuming you’re on a day trip from Iceland’s capital, you’ll pass the towns of Selfoss and Hella and shortly thereafter you’ll turn left onto Road 249 which goes toward Thórsmörk. Once you’ve turned onto Road 249, it’s only a short distance to the entrance for parking at Seljalandsfoss. After finding a spot for your car, you’ll be able to see the falls in the distance. Get excited, you’re almost there! What makes this beautiful waterfall so special? First, a few facts about Seljalandsfoss. The falls are part of the Seljalands river, which gets its water from Eyjafjallajökull. This seemingly unpronounceable Icelandic name may ring a bell. Eyjafjallajökull is the volcanic glacier that gained international fame in 2010 when the volcano resting beneath the ice cap exploded. European airspace was shut down for nearly a week and around 10 million travelers were displaced as the erupting volcano spewed smoke and ash into the air. Pretty exciting stuff, right? At any rate, the glacier still has melting ice and the runoff water eventually makes it’s way over the edge of the rocks at Seljalandsfoss. One of the cooler things about this particular waterfall that distinguishes it from the rest is that you can actually climb behind it. 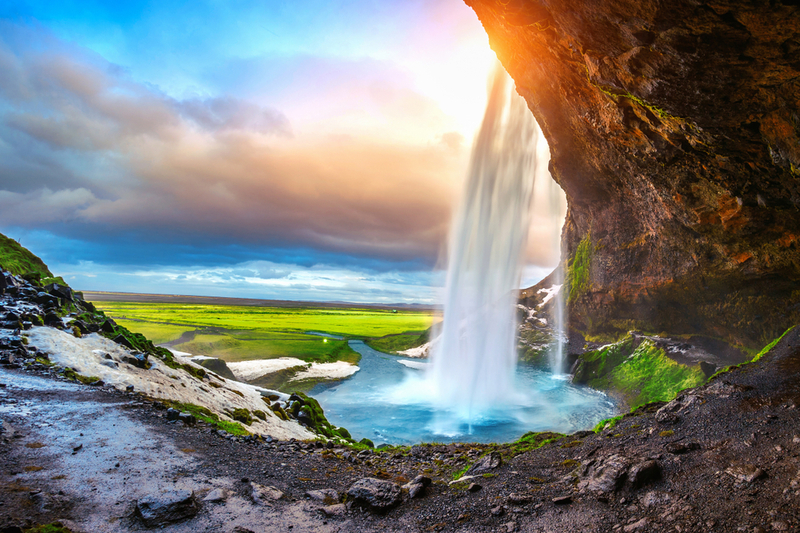 There is a small cave that sits behind the gushing fall and you’ll find plenty of tourists trying to capture that postcard-perfect shot of their vacation in Iceland. The majority of pictures on the internet of this natural wonder were actually taken from behind. While it is stunning from the front, be sure go into the tiny cavern in the back to get the best views of Seljalandsfoss. Sunsets tend to be particularly striking and you’ll wonder why you didn’t visit Iceland sooner. Another interesting fact: This area used to be part of the Icelandic coastline. Iceland is a country with lots of geological activity and there are frequent seismic shifts in the landscapes. The story is that a glacier that existed during the Ice Age actually pushed down the land to create the coastline with its massive weight. When the glacier melted, the land eventually rose and the former coastline now resided further inland. The falls drop 60m (200ft) over this former seaside cliff. 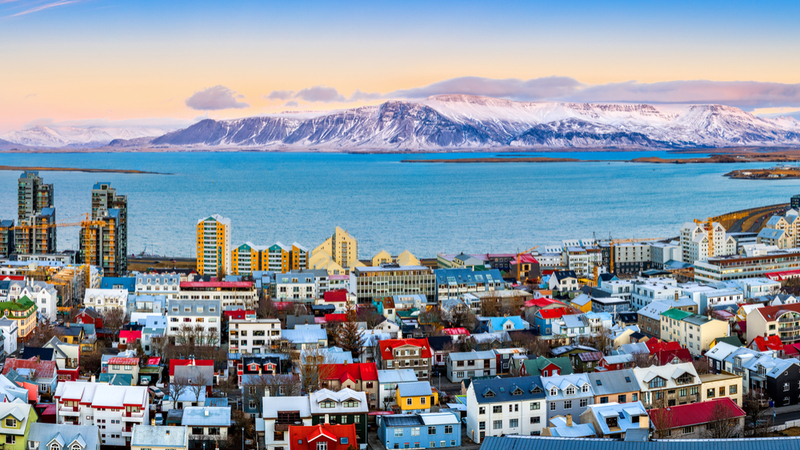 If you have some extra time before you head back to Reykjavik or if you are continuing on toward Vík, we have an additional suggestion for your itinerary. 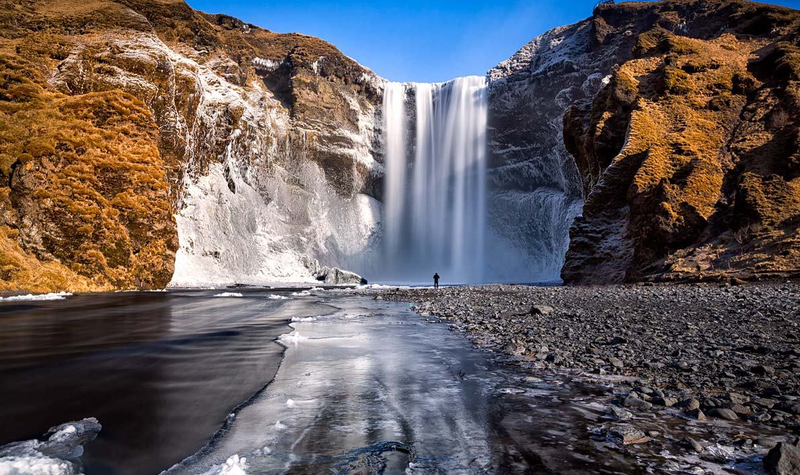 Another beautiful waterfall that is very close is Skógafoss. In order to visit Skógafoss you’ll need to go back to Route 1 and head east for another half hour or so. 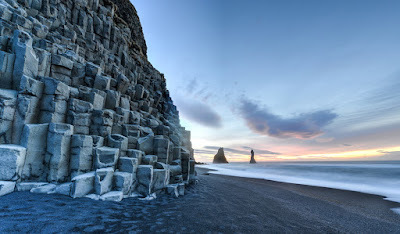 Like Seljalandsfoss, it’s also part of the former coastline of Iceland. 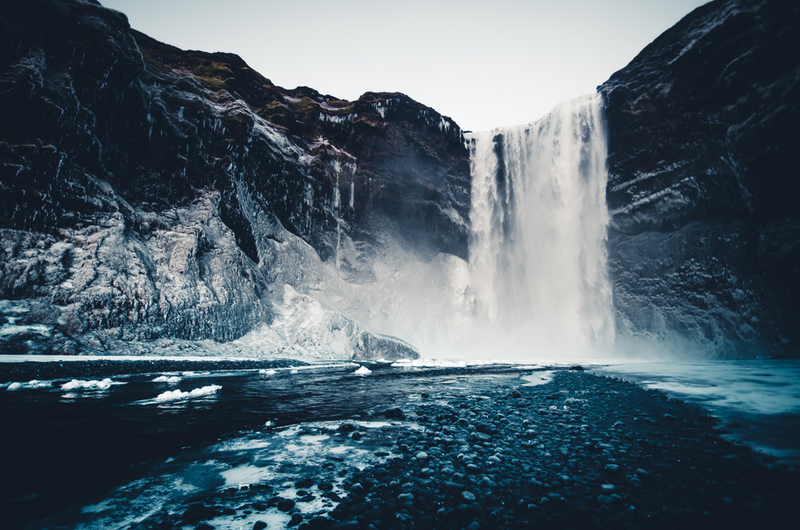 While Skógafoss may not be as well known for its beauty as Seljalandsfoss, both are definitely must-see sights on your trip to Iceland. Enjoy your waterfall tour of the south. Well, it’s official: summer is (basically) over. September is here, and autumn is rapidly approaching. I hesitate to say that we are wholly out of summer. However, given that fall officially begins in two weeks, the warm season is more or less kaput. Tourists are leaving, the colors of the foliage are starting to change rapidly. It’s going to get chilly sooner rather than later. 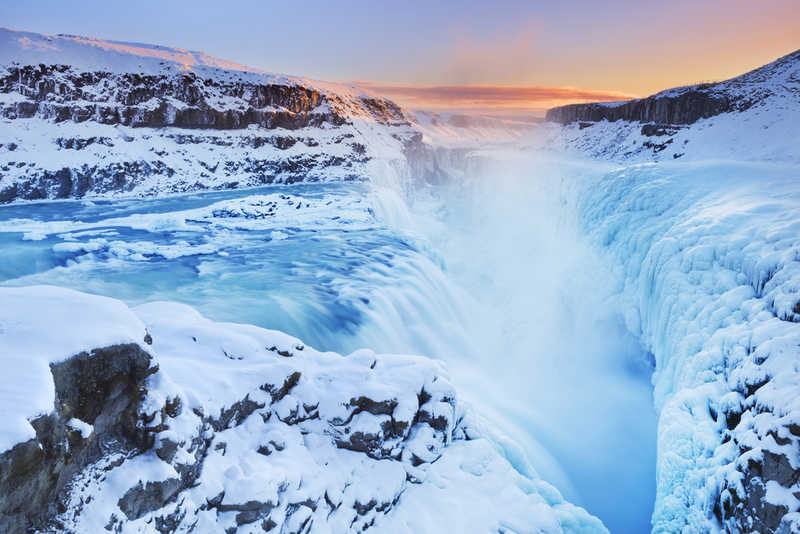 Temperatures haven’t fully dropped, which makes this month one of the best times to go to Iceland. 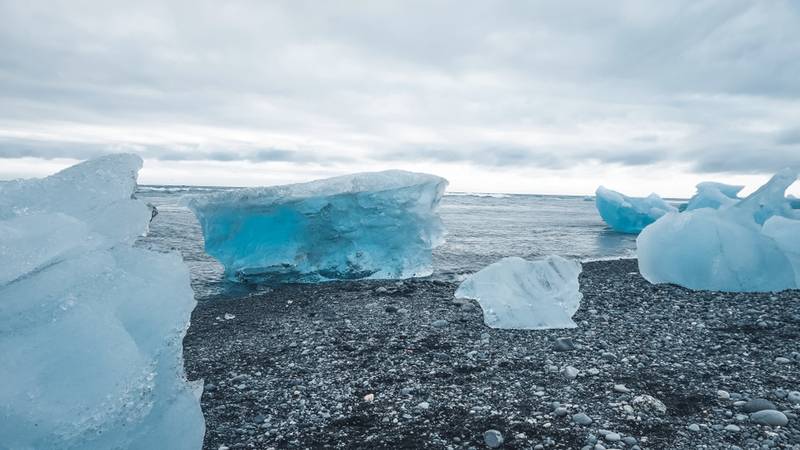 Let’s take a quick sneak peek at what Iceland weather in what September holds for us with regards to climate and average temperatures, rainfall, daylight hours, and even what you should pack and wear during your trip. If I have said it once, I have said it a million times, I love autumn weather and the fall. Many of my fellow Icelanders will probably let out an audible groan when they read that statement, but it’s true. The brilliant change of hues in our scenery, coupled with the fact I am not sweating profusely means the cooler fall weather is perfect for me. And let's not forget about warming up with traditional Icelandic desserts and a hot drink. However, I am no fool; I know what winter brings. While Iceland’s famed Northern Lights will be on full display, I am not exactly looking forward to the short days and freezing nights. But, fall in Iceland isn’t all that bad. In fact, when you check the weather forecast September is quite lovely. And it’s warmer than Iceland’s weather in October. 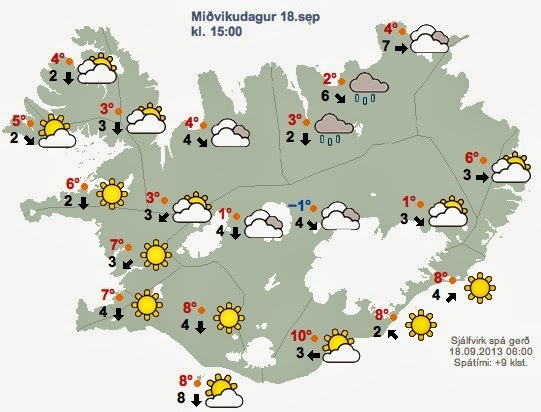 Throughout September in Iceland, the average low temperature hovers around 5 or 6 °C (40 - 42 °F), and the average high is 11 °C (52 °F). However, Iceland is famous for weather that can dramatically shift at a moments notice. This means that while it sure is nice to have these averages, they really don’t mean anything. Maybe that’s too cynical. What I mean to say is that they give you a decent range, but it isn’t uncommon for the reading on the thermostat to exist outside of that given set. So, long story short, expect September to be much cooler than June or July. Approximating average rainfall in Iceland may seem like an exercise in futility to outsiders. Given the unpredictability of ocean-driven storms, it can be difficult to judge how wet or dry a region will be. However, you should always expect rain here in Iceland. A good rule of thumb is to always count on the showers to be heavier near the ocean because they tend to lose strength as they make landfall. Iceland often experiences the majority of its rainfall during the autumn and spring months, but in my experience, I would say the fall is definitely the wettest season. Whether looking at the weather in Reykjavik or further afield, rain should always be one of your considerations. The days of the Midnight Sun are officially in our rearview. Some of you may be sobbing at this fact, while people like me are relieved. I enjoy the Midnight Sun, but after a while, 16 hour days can be a little much. Expect the available daylight to dwindle down from 16 hours to around 13 hours. This three-hour difference is much more akin to what the world average regarding sunlight, so if you are visiting Iceland don’t fret too much about bringing a sleeping mask with you. Less daylight means you can also start to catch glimpses of the Aurora Borealis from the middle of September onward. Iceland during September is cool, wet, and windy. This isn’t to say that every day will be dreary and miserable, but you should be prepared. If you are visiting, I would highly recommend that you pack a sturdy rain jacket, water-resistant pants, a sweater, thermal layers, wool socks, and some water resistant walking shoes. A good rain jacket is paramount when visiting Iceland in September, so make sure you invest in one you can trust. Besides that, enjoy the incredible fall colors that burst from flora in our countryside, bring plenty of rain resistant gear, and keep up to date with the latest weather announcements from the IMO (Icelandic Meteorological Office). Follow these tips, and you are sure to have a great September in Iceland. Bless Bless. Many of us still have fears associated with taking the leap and traveling to a new culture and land. How can we overcome those travel fears so that we can explore the world and gain a new perspective on other cultures, and ourselves? Luckily for us, traveling around the world has never been easier. For the majority of recorded history, travel was inhibited by technological barriers along with social ones. You couldn’t simply decide to uproot yourself and travel to some far-flung pocket of the world. In most instances, you would have to save up vast sums of money just to travel relatively short distances. Even if money wasn’t an issue, time certainly was. Now with modern advances in technology, travel has become ubiquitous, and tourism is thriving. So let’s overcome our travel fears and explore the big world that awaits us. If you are on the fence, or nervous, about traveling, pause and reflect on the enormous benefits that come with travel and exploration. 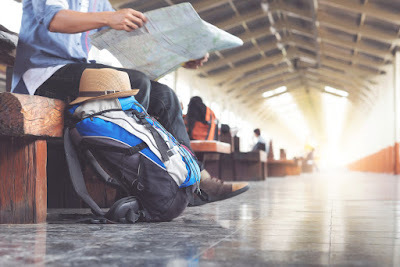 Most of those with hesitations surround travel almost always report that they don’t travel more because they don’t like going alone. I would argue the point that traveling alone is a fantastic opportunity to learn more about yourself and build up inner-confidence. When you are alone, you have no one tangible with you to lean on. You have to struggle through things. And while this is scary, it can lead to some revelations about who you actually are. Everyday life is inevitably monotonous and safe. We all have routines. When we stick to those regular routines, we never challenge ourselves. It is only when you are alone do you realize how much you can actually achieve. I found this to be no more accurate than when I went to Spain for the first time. Visiting from Iceland, I did not know Spanish and I had never experienced Spanish culture. I will admit, almost instantly when I arrived in Spain, I suffered culture shock. I couldn’t speak to anyone, I frequently became lost, and I didn’t know what to do. I eventually grounded myself and realized the only way I was going to find my experience pleasurable was to learn a bit of Spanish. I purchased a pocket dictionary and phrasebook and proceeded to butcher the language at every possible opportunity. I found by the end of my trip I could form broken phrases and ask simple questions. This changed my perception of the journey. I had never imagined being able to pick up the basics of Spanish so quickly, However, by the end of my trip, I felt accomplished. The quickest way to progress in life is to free yourself from your comfort zone. 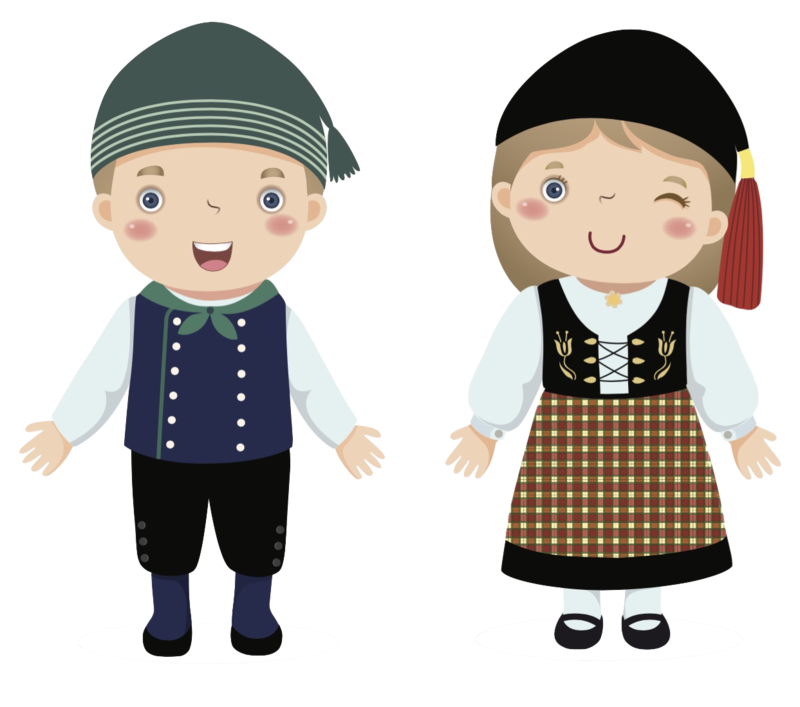 Travel, especially to a country with a widely different culture and foreign language, is the quickest way to do this. Don’t underestimate yourself. You need only to buy a plane ticket and believe in yourself. You will be amazed at the things you can accomplish. I used to think that traveling to the far off locations I daydreamed about as a child were impossible to reach. I always assumed I never had enough money to go and explore the world. This isn’t true. We all have bills, we all have expenses. 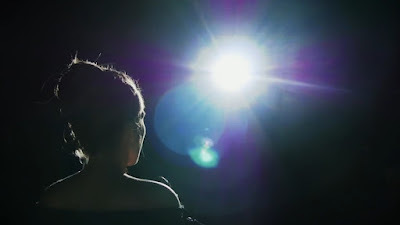 However, when you get stuck in a routine, you become blind to things you purchase that you really don’t need. If you have any fears associated with travel that stem from monetary concerns, consider minimizing your life or downsizing. Decide what the absolute essentials are to live day to day, and cut everything else out. By adopting a more minimalist lifestyle, you will quickly find that the money you always thought you never had was actually in front of you the entire time. 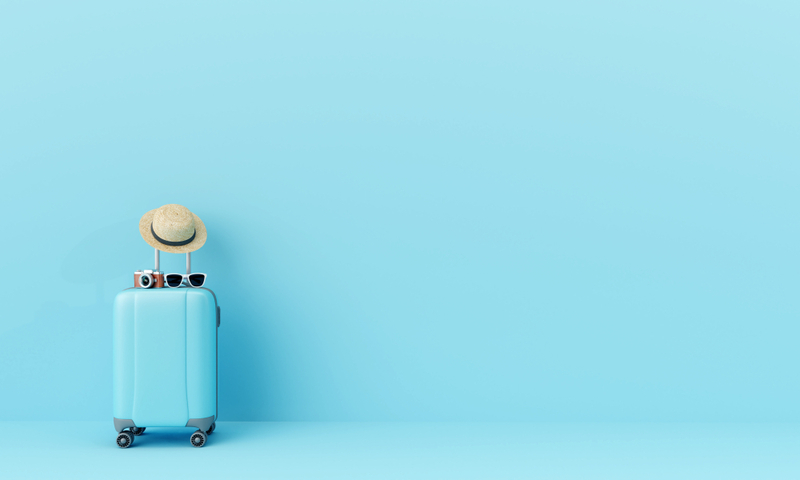 If it is indeed your desire to travel (especially internationally), then you need to be vigilant with your spending and budget. Budget. Budget. Budget. I promise, with a little hard work and effort, you will enough saved up in no time for your dream trip, wherever that may be. Everyone is different. We all have different backgrounds, preferences, and personalities. Some of us are introverts, extroverts, and others lie somewhere in the middle. Being an introvert, like myself, can raise serious anxieties about traveling alone in a foreign country. The idea of never making friends on your travels can infest your mind like a cyclical plague. For me, that was my own biggest personal hurdle. I imagined myself being alone on my travels and never having anyone to share it with. This is a fallacy. I am a firm believer that if you put out positive energy, you will get back positive energy. When traveling alone, always remember to be friendly and smile. Find bars or restaurants that are specifically for expats of your home country, or throw yourself into uncomfortable situations and go to where the locals are. I have found that most locals are generally interested in where you come from and your culture. They will be warm and accepting of you as long as you are of them. You will make friends, I promise. If you have the travel bug itching away at you now, don’t ignore it. One day you could wake up, and those plans you had to visit Morocco, or Iceland, or Thailand in the near future will have passed you by. No time is better to start planning than now. Pick a place you have always wanted to go to. Start researching the culture now. Make a rough itinerary and refine it day by day. Begin setting aside money immediately. If you make your travel plans a part of your daily life, they become part of your daily routine. And, the next thing you will know is that you have the plan, you know the culture, and you have the money to visit. It is ironic that I am writing a blog post about this very topic. I always thought my dreams of visiting other countries and cultures were just that, dreams. I was too nervous to set anything in motion because I didn’t think I had enough money, or that I wouldn’t be able to make friends along the way. Then, at the behest of a dear friend, I threw caution to the wind. I picked a place I had always wanted to visit and made it my singular goal for the immediate future. I saved, I planned, I researched, I learned a bit about the language and culture before going, and the next thing I knew I was boarding a plane to a country across the world. I took a leap of faith in myself and in the universe. That trip ended up being a formative experience in my life. I became an entirely different person. And, all of that wouldn’t have been possible if I didn’t take the leap. Take the leap. Trust yourself. Go on an adventure, and who knows, it could change your life.